Kimberly M. Saillant, Esq. | Our Team | Brooks & DeRensis, P.C. Kimberly M. Saillant is a principal specializing in litigation. 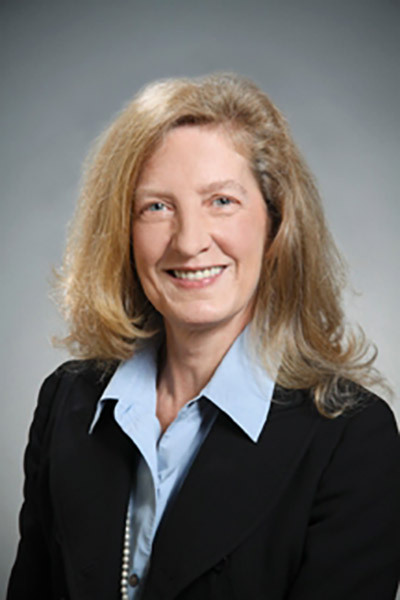 Ms. Saillant is a seasoned trial attorney with over 30 years of experience successfully representing both plaintiffs and defendants on a wide variety of matters in state and federal courts, from pre-complaint through litigation and conduct of trial as lead counsel, including post-trial proceedings. Some of the areas in which Ms. Saillant has represented clients are governmental defense, land use, environmental issues, negligence defense, eminent domain proceedings, municipal board and department defense and administrative advice, civil rights claims, and real property disputes. Ms. Saillant is admitted to the United States Court of Appeals, First Circuit, the United States District Court for the District of Massachusetts, and the Supreme Judicial Court of Massachusetts. She is a member of the American Bar Association, the Massachusetts Bar Association, the Massachusetts Defense Lawyers Association, the Defense Research Institute, City Solicitors and the Town Counsel Association, as well as the Frank J. Murray Inn of Court. Ms. Saillant was an associate and then Principal at the Boston firm Deutsch Williams from 1997 through 2017. From 1993 through 1997, she was Assistant Corporation Counsel to the City of Boston concentrating in high profile, complex multi-party civil rights and associated tort litigation. From 1986 to 1993, Ms. Saillant was an associate at the large defense firm of Morrison, Mahoney & Miller in Boston, where she litigated on behalf governmental entities and their employees concerning alleged violations of state and federal constitutional rights and the Massachusetts Tort Claims Act in both federal and state courts. During that time, in addition to successfully conducting several Federal and State Superior Court trials as lead counsel, she researched, drafted, and argued over 60 dispositive motions and supporting memoranda on complicated state and federal issues and related tort claims, and briefed and argued appellate court cases in the United States Court of Appeals for the First Circuit. “From Euclid to Lucas – A Retrospective,” published in December 1992, by Massachusetts Continuing Legal Education, Inc.
“Defending the Civil Rights Case after Canton and Connor,” co-authored with Richard E. Brody, in February 1990, and published by The Defense Research Institute. “Potential Municipal Liability for the Actions of Off-duty Police Officers,” published in Civil Liability Alert as the lead article by the Civil Liability Institute of Massachusetts, Inc. in its Winter 1987 edition. “Implementation Exemption Under the Massachusetts Tort Claims Act,” published in The Standard in January 1987. Ms. Saillant has also served as a faculty member for Massachusetts Continuing Legal Education, Inc. in December 1992, October 1999 and Autumn 2000. Ms. Saillant holds a Bachelor of Arts in Government and with a minor in Political Theory from Cornell University as well as a Juris Doctorate from Northeastern University School of Law.